DK's legendary multi purpose, all in one BMX tool. It is the first and last tool you'll ever have to buy. Revised second generation tool with a streamlined look and feel. Easy and convenient to carry along on an ride or trip. 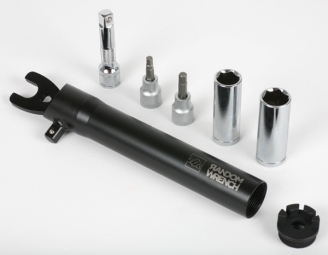 It comes with all the necessary pieces you need to keep your bike running at top form.